It seems Nicki Minaj is everywhere at the moment but maybe that's just me. I know she's somewhat of an acquired taste but I love her! Plus I think it's super cool that M.A.C pick people who perhaps break the norm. I did wonder if Nicki would be kept on for another year like Gaga was and I just found out she's releasing a beautiful pastel lavender(!) pink. I still haven't got the current Viva Glam Nicki so I better get on that. I can't wait for this one though as I love lavender lips. 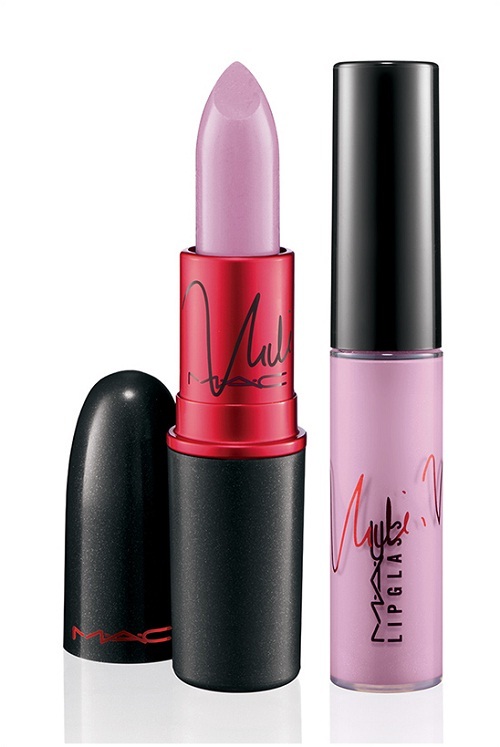 Nicki Minaj continues her reign as the hip-hop queen of M.A.C Viva Glam! The lipstick-loving diva is back to serve up a delectable duo of lipstick and lipglass in an all-new shade of pastel lavender pink. Every cent of the selling price goes toward helping women, men and children living with and affected by HIV/AIDS.